This year's Asian Banking and Finance Awards marked a breakthrough as it honoured a record number of organisations. 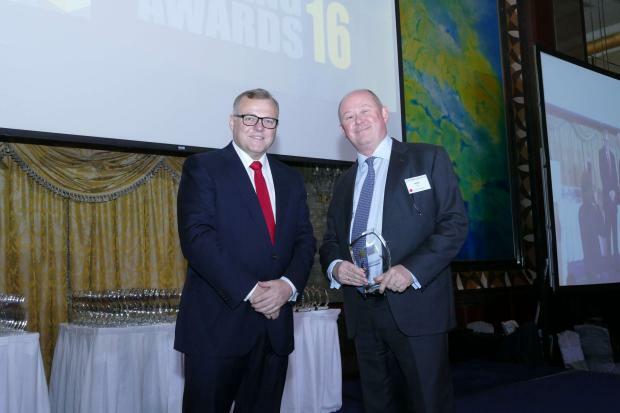 On its 11th year, the Retail Banking Awards recognised 65 winning banks from 24 countries, while on its 5th year, the Wholesale Banking Awards acknowledged 40 winning banks from 22 countries. The Insurance Asia Awards was also launched this year with 12 winning insurance companies from seven Asian countries. On its second year, the Charlton EastColes Corporate Performance Awards 2016 also gave recognition to the top firms in South-East Asia. Charlton EastColes, a joint venture between the Sydney-based financial markets research specialist East Coles and ABF publisher Charlton Media Group, surveyed over 200 fund managers and analysts across the region and asked them to rate the largest listed companies. Last night marked the biggest ABF Awards in history. The Island Ballroom A at the Shangri-La Hotel Singapore was packed with more than 230 attendees from over 80 companies. "We had such a wide range of interest for tonight's awards, so thank you all very much. I'd also like to thank all our judges who patiently went through all the nominations," said Tim Charlton, publisher of the Asian Banking and Finance.